Photo manipulation is image editing techniques to create an advanced level of photoshop tutorials. Photo manipulation tutorials make the amazing photo effects. Manipulation is a word for photo absolution the same by adjusting contrast, white balance, colors, sharpness and much more to get the required results. Photo manipulation tutorials designed by great designers who have most creative imagination. 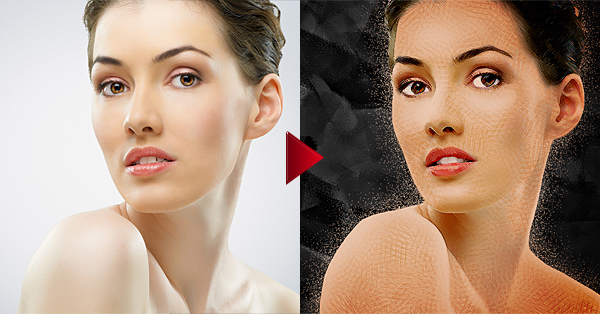 Photo manipulation is completely about your imagination, thinking power and fast skills. Photo manipulation is a photo editing technique with some natural elements like water, fire, and much more and using different type brushes, objects and much more. Photo manipulations assent you to explore your creativity and create fiery and surreal works of art. Photo manipulation tutorials can provide a lot of help, easy presentation of a thing that made it easy to learn. Photoshop tutorials are the best way to learn amazing effects. These photo manipulation tutorials are created by great designers who shows how to create photo editing and imagination with the help of Photoshop. Photo manipulation tutorials can be a good for defining, editing great shots where the light, color balancing and quickness need a bit of adjustment or where some elements need to be removed. These Photoshop Photo Manipulation Tutorials very useful for both graphic designers and photographers. Here we collected 20 creative photo manipulation tutorials that will learn you how to create a photo manipulation in Photoshop. In this tutorial we will create a powerful human breaking effect in Photoshop.